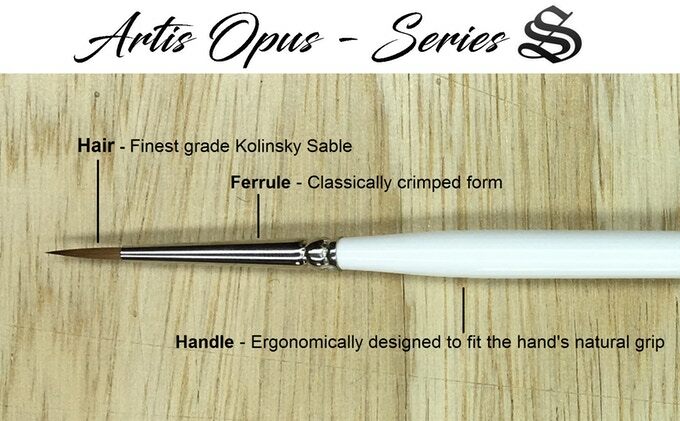 Artis Opus: The finest brushes for passionate artists, hand crafted by artisans using true Kolinsky Sable. 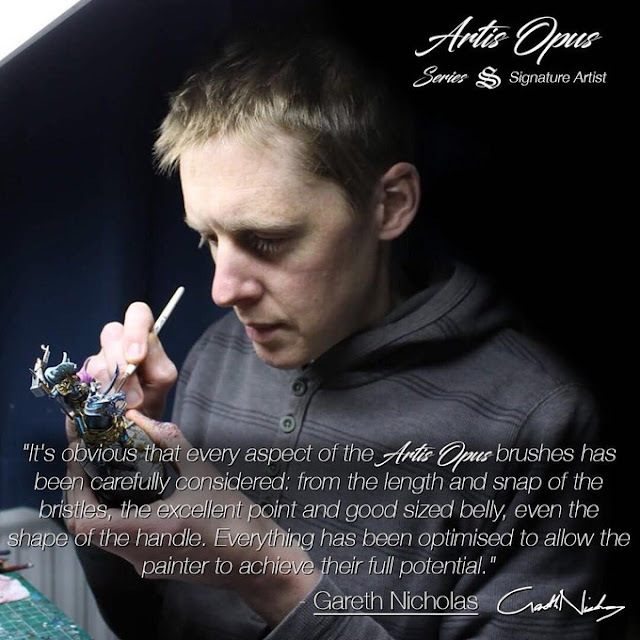 The brainchild of miniature painters and industry professionals, Artis Opus Series S Brushes are beautifully realised and presented, featuring ergonomics to improve every painter’s hobby experience. Series S use only the highest grade pure Kolinsky Sable, with a rigorously tested and adapted head, designed to hold a perfect point, while having enough body to carry more paint than shorter designs. Formed by experienced artists with an eye for ergonomic design, Artis Opus combines premium quality, durability and elegance. 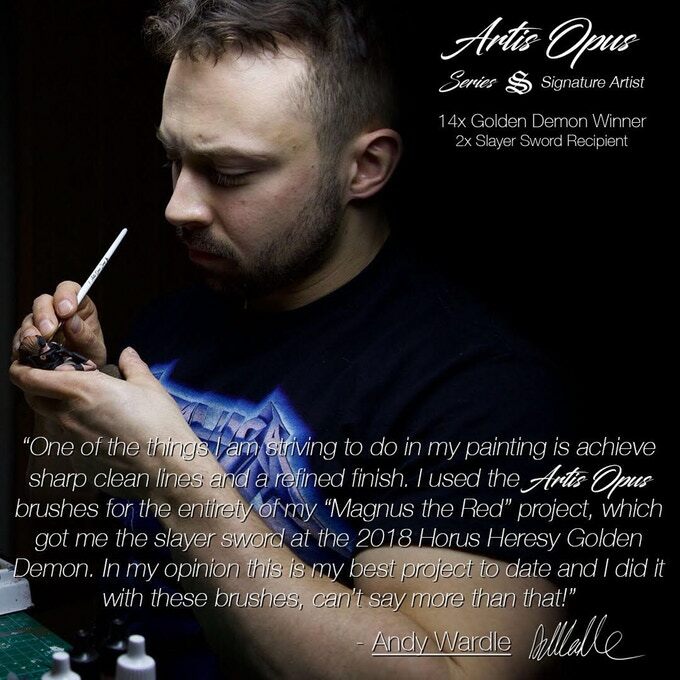 We use only the finest components in our products making us the natural choice for both aspirational and leading painters. The precision of our points should allow painters to use a larger brush than would normally be practical, greatly improving speed and resulting in a more enjoyable painting experience. Our larger handle is also designed to be both distinctive and practical. 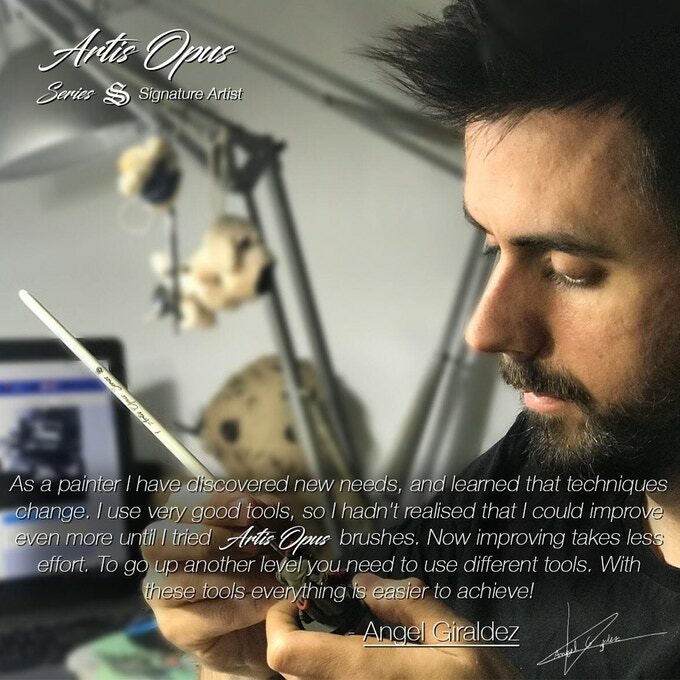 Users will easily adjust to the increased width, and then benefit from the comfort, avoiding ‘painter’s cramp’, and allowing to paint for longer.